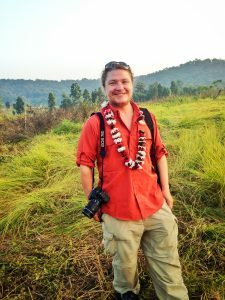 Nile Sprague is a cinematographer and photojournalist with a documentary background. He specializes in unobtrusively capturing the real moments – the silliness, the sweet tears, and the joy – and his grounding presence is calming and reassuring. Because of his experience in journalism, he is also skilled at asking poignant questions that invite people to share from their hearts. Nile understands how sacred it is to have your dearest friends and family from all over the country, sometimes the world, come together in one place. He has the reverence, artistry, and skill to capture this unique moment so that you can relive all the memories and emotions for years to come. Regina and Jason Wedding from Nile on Vimeo. Emily and Mischka Wedding from Nile on Vimeo.